Welcome! 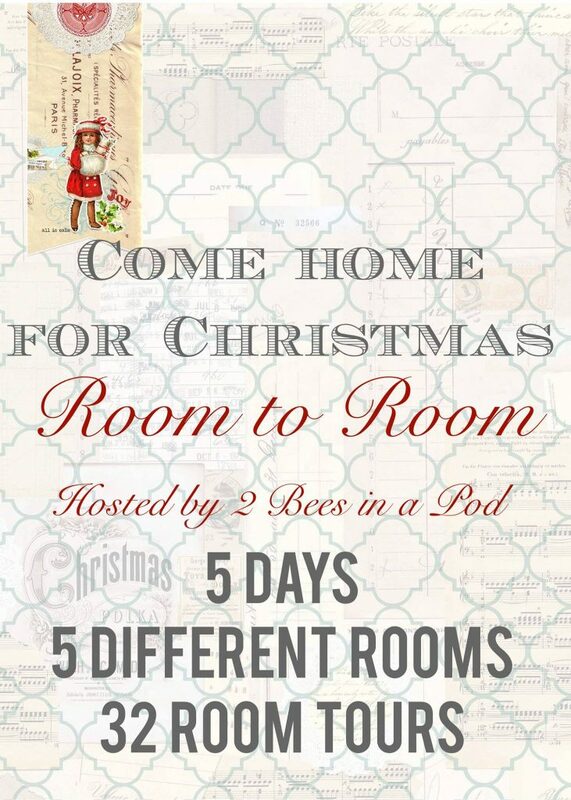 I am so excited to join 2 Bees in a Pod this week in their Come Home for Christmas series! I’m Brittany and over here I share easy crafts, decor, and occasionally simple recipes for those moms looking for an easier solution to running their homes. This morning I couldn’t wait to share our front entryway with you. When you arrive in our home here in Michigan, you’ll see that we don’t have a traditional front door closet or entry area. Instead, we have an open hall that leads you right into our home. 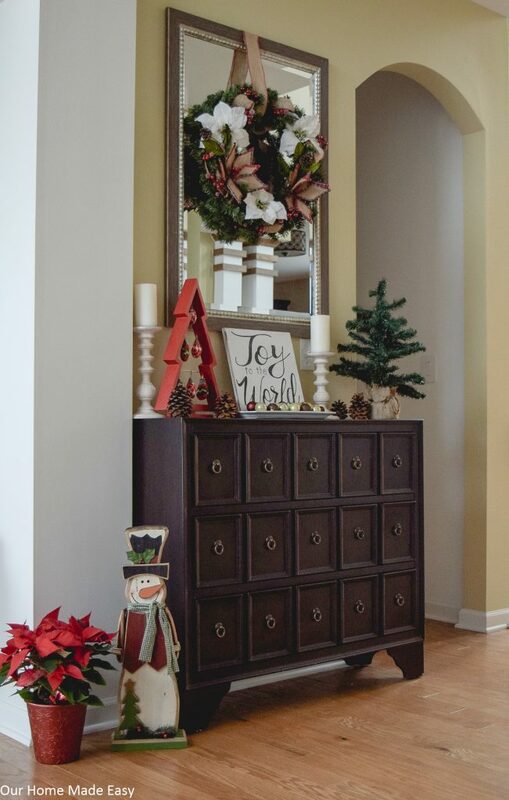 To create that entryway feeling, I have use an apothecary chest and mirror. They are the only two things that remain constant throughout the year. While I am definitely not a home decorator, I wanted somewhere to hang my Christmas home decor and still be super functional. Because, real life! To keep life & home easy, I like to stick to classic colors and basics that stay out each season. 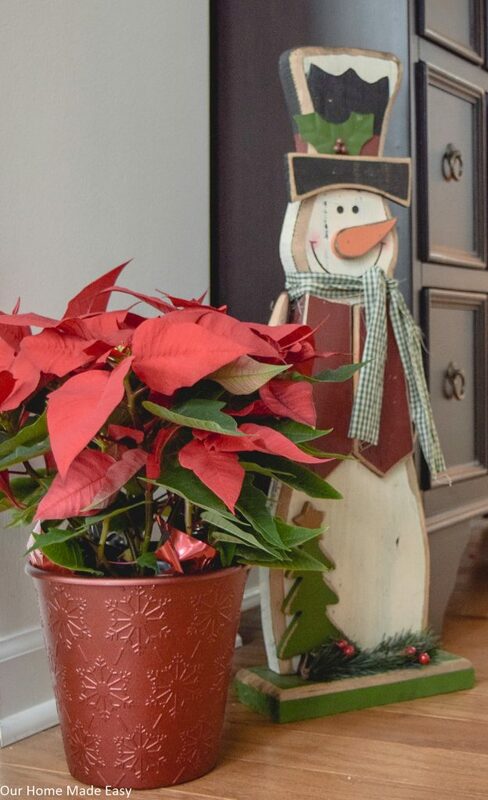 One of my easiest ways to decorate for the holidays is to shop what you already have on-hand. Before I started putting the decorations in their ‘spots,’ I set them all out on the floor. Once the Christmas decor is out on the floor, I take down all our neutral decor that is already up in the house. Then, I shopped the items to pair new arrangements together. It’s been an easy way to create new looks without spending too much time shopping or spending too much money! I picked up this poinsettia for $4 while running an errand this weekend. I paired it with a cute snowman we found at a local craft show. I am a huge fan of finding items that I love and want to use every year rather than tossing away at the end of the year. The white washed wood candle holders are new, but I plan on keeping them out all year long. 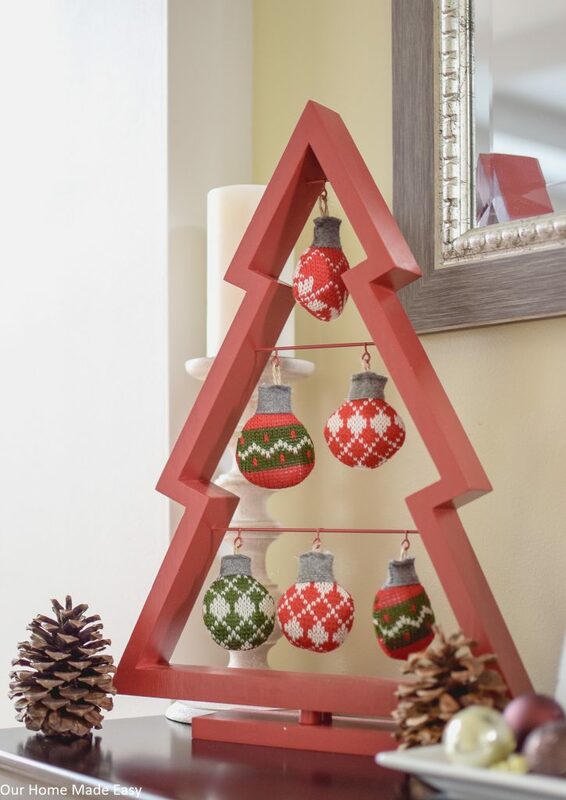 They add some height, but are still neutral enough to let the Christmas decor shine. The table top Christmas tree was an after-Christmas find for just a few dollars last year. I contemplated adding small ornaments to it, but then ran out of time! 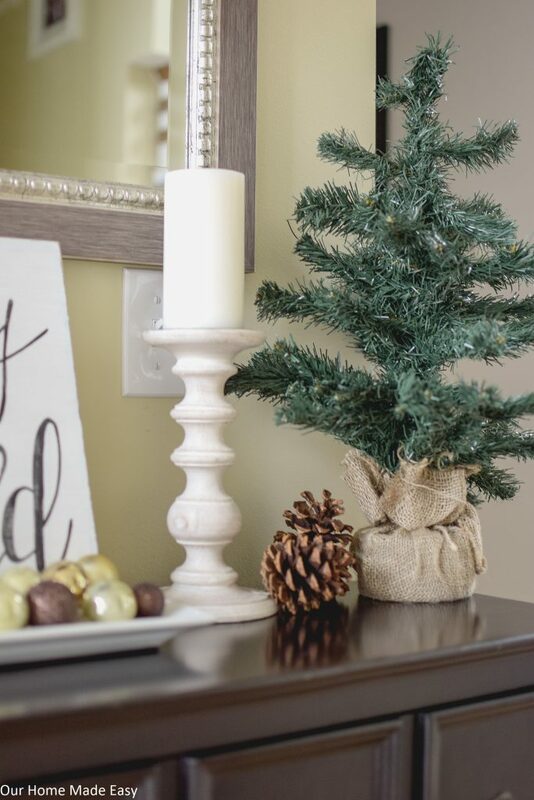 To give the space a welcoming feel, I added a few cinnamon scented pine cones to the table. For Christmas, I added this super easy DIY Christmas wreath to give the mirror some extra pizazz. I hang it with a clear suction cup and then cut burlap ribbon to tuck behind the mirror. It adds a fun look and is super easy to change out each season. The little white ceramic tray stays out most of the year. I replaced river rocks with fun mini ornaments. Can you believe I picked those up for just a few dollars? They add some cheer for so cheap. Rather than place candles in the tray, I set this beautiful handmade wood sign instead. It’s perfectly rustic and super sturdy. I love how it works with any neutral. Thank you so much for stopping by our home today! Visit the other lovely homes in this tour and be inspired! Happy decorating! « Thank You and A Special Gift For You! What a great space! Even though you don’t have a traditional entry…you have made it feel very welcoming. 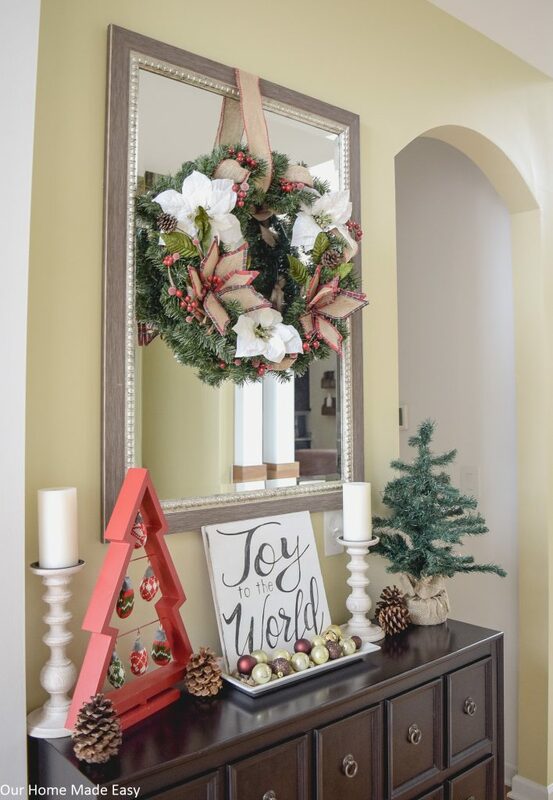 I love the pops of red you have incorporated and the gorgeous wreath on the mirror. I love wreathes on mirrors. It’s great hopping with you! We took our entry closet out, who ever used it cor anything other than the vacuum anyway, which seems to always be out anyway! And i put my christmas stuff in new spots every year, so it is always like new stuff. That’s a great idea! Thank you so much for stopping by— I can’t wait to see your space! First of all, we need that apothecary chest haha. 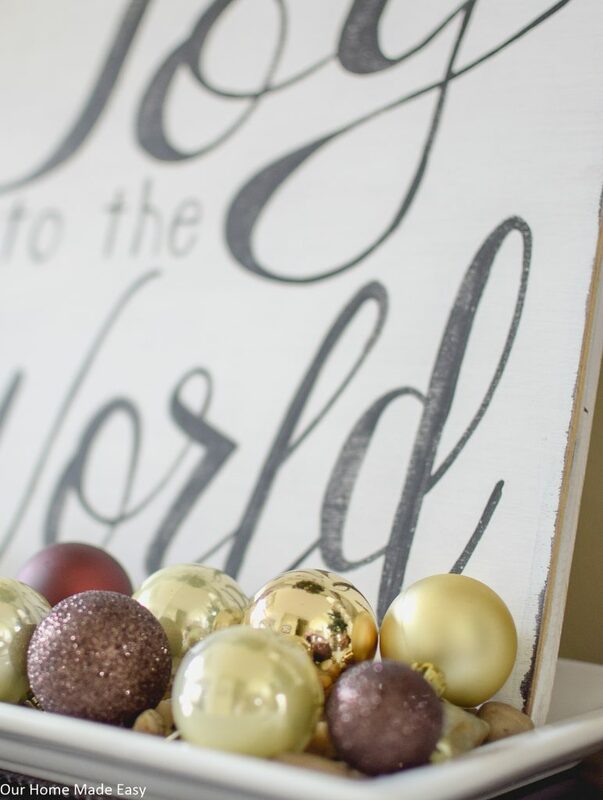 Great ideas for decorating the space and loving that little Christmas tree you scored last year. So cute! I have a special love for real apothecary chests, and yours is stunning! I love your tips about putting everything on the floor and shopping your stash. That’s a pretty cool idea since I always forget what I have, lol. I love your entry! I wish we had an entry that I could go all out for at the holidays! This is so pretty! Your entryway looks great Brittany! 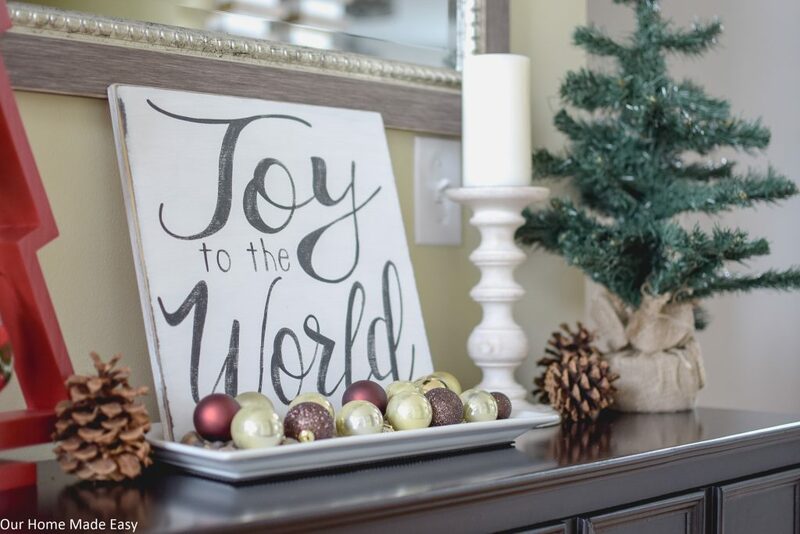 Love that Joy to the World sign. 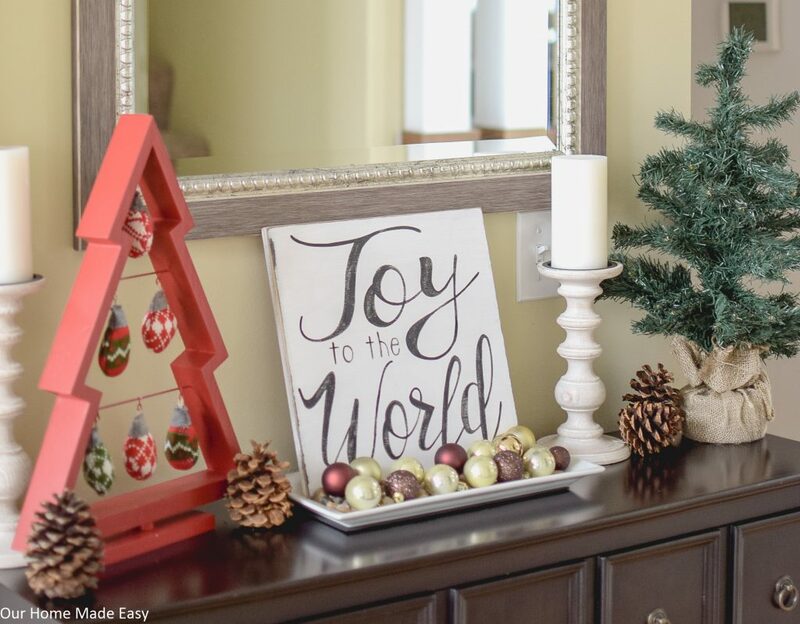 Love all of your festive touches – that little red tree is adorable! This is such a beautiful space! I’m in love with that apothecary table and the little sweater ornaments are too cute! Do you recall where you purchased the adorable red Christmas tree with mitten?! Hi, Brittany! I’m so glad I got to “find” you through this fun blog hop! I love your Christmas foyer and especially that cute red tree with the knit ornaments on there. That is too cute! The whole space looks really beautiful but not overdone. Great job! Thank you so much Bre!! I love that you keep the basics and work in the current holiday into your entry. Pinning and sharing. SUCH a fun and welcoming space! LOVE that sweet little tree! The little guys, lol!! Thank you for stopping by, Nicole! Your entry looks great! So festive and welcoming! I like to shop my house, too. Your entry is so beautiful!! I love how you decked it out for Christmas, especially that adorable snowman! Your entryway is perfect. I adore that apothecary console!!! Love the classic Christmas touches too. I love your decorating philosophy, Brittany! 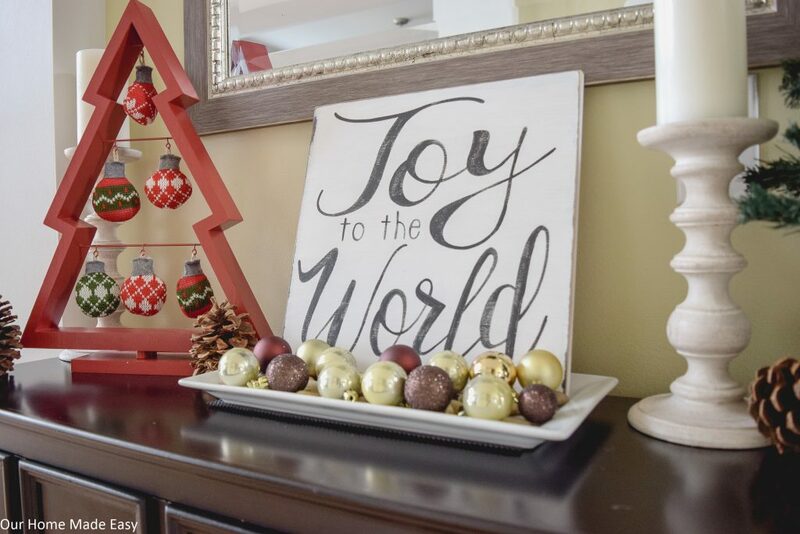 The items I decorate with are things are truly love and want to be able to see all year, so finding new ways to use them and adding seasonal decor to the mix is right up my alley! Love your beautiful wreath and the ornament tree! Thank you Sarah! It certainly saves so extra money & time to re-think a whole new strategy! I love how you styled this entry! So beautiful! Such a pretty space and I love all of your holiday touches, especially the red tree with the mitten ornaments. Happy Holidays! Your entryway looks beautiful! I love the wreath on the mirror! 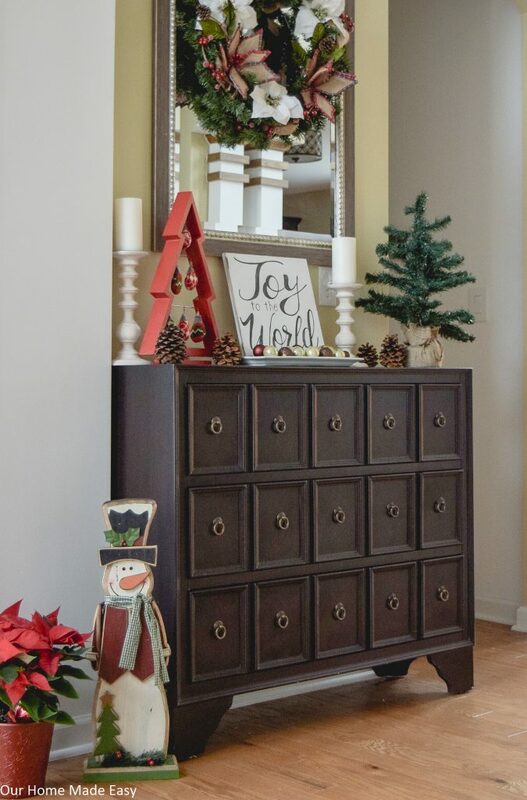 Your entryway looks so pretty, Brittany! It screams JOY. Have a lovely Christmas.